Vienna – The RCC’s Roma Integration 2020 (RI2020) Working Group for Developing Regional Standards for Roma Responsible Budgeting, consisting of the RI2020 Action Team, independent budget experts, National Roma Contacts Points (NRCP) and representatives of Ministries of Finances from the economies in the enlargement region, gathered today for its first meeting. “By coordinating the efforts of the economies in the enlargement region to make available funds for implementation of Roma integration policies, the Working Group has rather unique and significant role in progress towards the Roma Integration 2020 targets and overall Roma inclusion process“, said RI2020 Action Team Leader Orhan Usein on this occasion. 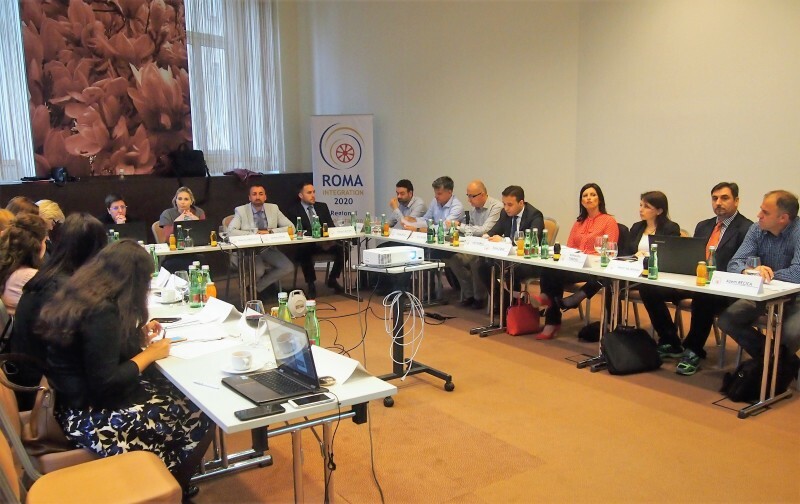 This Working Group is established with the goal to contribute to the development of regional budgeting standards which will help mainstream policies and Roma targeted policies in participating economies to become sensitive and responsible to the needs of Roma and allow for these policies to be properly budgeted and implemented. During this first meeting, details with regards to its mandate, rules of procedures, working methodology, and future activities, were discussed and adopted. In addition, topics such as analysis of the budget from Roma perspective, disaggregation of budget in terms of impact on Roma population and linking policies with budgets were tackled. In the following period, governments’ representatives will work with experts to analyze budget systems in participating economies and to identify opportunities for Roma responsible budgeting as well as tools to implement it. By the end of the Roma Integration 2020 project, the Working Group for Developing Regional Standards for Roma Responsible Budgeting is expected to achieve two main results: to elaborate minimum standards for participating economies to apply when developing and budgeting policies to make them Roma responsible, and to prepare proposal of regional and economy-specific amendments to organic budget laws and other relevant legislation which will allow for structurally embedding Roma integration needs in budget planning and adopting, budget spending, and budget control. Its goals are in alignment with the recommendations made by the European Commission for enlargement economies – to enhance their efforts to implement the commitments from Roma Integration Strategies and Action Plans and allocate necessary resources for their implementation.